A large study shows that bees who used fields treated with insecticides known as neonicotinoids did worse than others. WASHINGTON – A common and much-criticized pesticide dramatically weakens already vulnerable honeybee hives, according to a new massive field study in three European countries. For more than a decade, the populations of honeybees and other key pollinators have been on the decline, and scientists have been trying to figure out what’s behind the drop, mostly looking at a combination of factors that include disease, parasites, poor diet and pesticides. 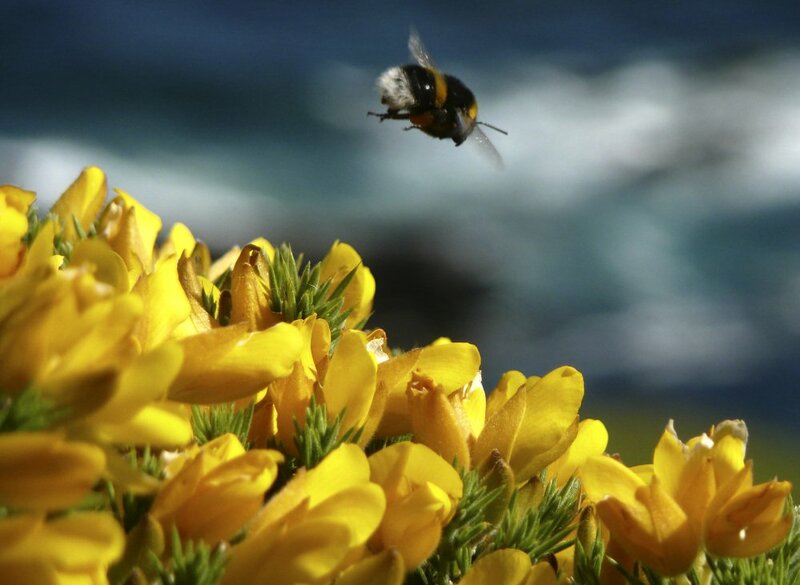 Other studies, mostly lab experiments, have pointed to problems with the insecticides called neonicotinoids, but the new research done in Britain, Hungary and Germany is the largest field study yet. Researchers planted about 7.7 square miles of fields of rapeseed, which is made into cooking oil, called canola in America. Some of the fields were planted with seeds treated with the insecticide, others with untreated seeds. The researchers followed bees from the spring of 2015 when the seeds flowered to the following spring when new bees were born. 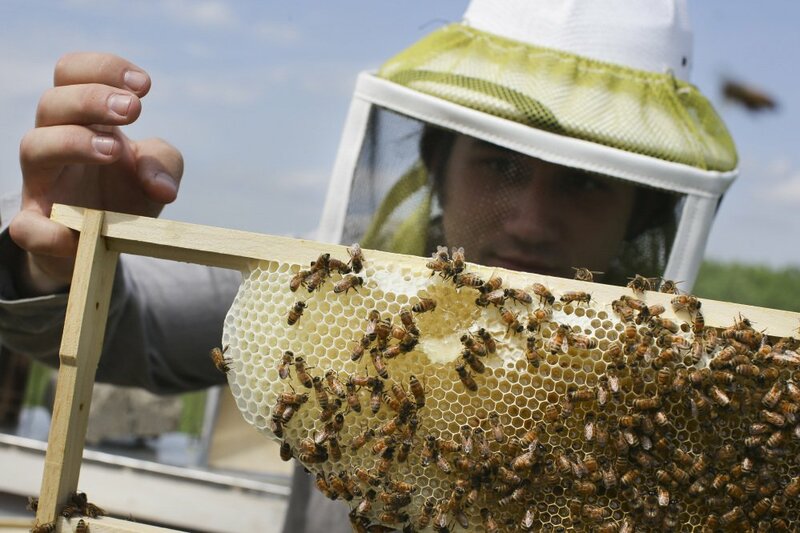 The bee hives in the Hungarian and British fields that used pesticide-treated seeds did worse surviving through the next winter, the researchers found. In Hungary, the honeybee colonies near treated fields had 24 percent fewer worker bees the next spring when compared to those near untreated crops, according to a study published Thursday in the journal Science. But in Germany, the bees didn’t seem harmed. Hives there were generally healthier to start and when scientists analyzed the pollen brought back to the hives, they determined that the German bees ate a far broader diet with much less of their nutrition coming from the pesticide-treated rapeseed plants, said study director Richard Pywell. Only about 10 percent of the German bee diet was from neonicotinoid-treated plants, compared to more than 50 percent in Hungary and England, he said. When hives are weakened by disease, parasites or bad diet – as many hives are worldwide – then the neonicotinoids “pushes them over the edge,” said Pywell, a scientist at the Center for Ecology and Hydrology in England. So many of the British hives died, in both treated and untreated fields, that scientists couldn’t calculate the specific effect of the insecticide, he said. The same study also found that wild bees were also weakened by the insecticide, but in a bit different ways, Pywell said. And for wild and honeybees, one neonicotinoid brand seemed to cause greater harm. Europe banned neonicotinoids, or neonics, in 2013 and researchers needed a special exemption to do their study. Some Maine retailers began phasing out products that contained neonicotinoids in 2015. Another study in the journal also finds problems with neonicotinoids in a study in Canada. The European and Canadian studies show that neonicotinoids harm bees, but still may not quite be the leading cause of bee losses, said University of Maryland entomologist Dennis vanEngelsdorp, who wasn’t part of the study. “The problem remains complex, like cancer,” vanEngelsdorp said in an email. Neonicotinoids makers Bayer and Syngenta paid for the European study but had no control over the results or the published paper, Pywell said. Company officials pointed to the results in Germany and the lack of harm to hives there. “The study shows that when hives are healthy and relatively disease free and when bees have access to diverse forage, neonics do not pose a danger to colony health,” Bayer spokesman Jeffrey Donald wrote in an email.